Gorgeous 2-story David Weekley on a beautiful tree lined street! Excellent location and neighborhood! 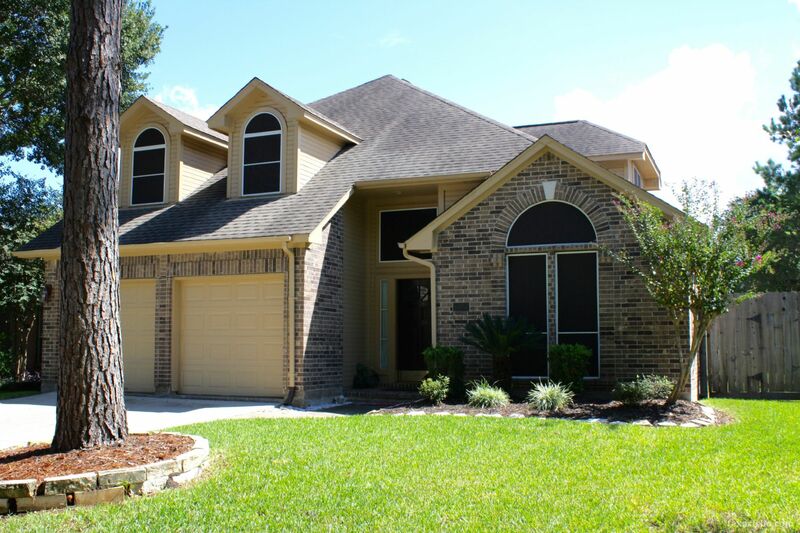 Gorgeous 2-story David Weekley on a beautiful tree lined street. This Open Concept 4 Bed, 2.5 Bath home has 2,370 sq/ft, great for the holidays or entertaining, and an 8,000 sq/ft backyard with plenty of room for the kids to play or to build a backyard retreat. Soaring ceiling in foyer entryway, and high ceilings in formal living and dining rooms. Kitchen boast granite countertop, tile and glass backsplash, ample cabinets and counter space and island, ceramic glass cooktop, built in microwave and oven, high countertop bar, and open to large family room with gas fireplace and breakfast area. Spacious master suite downstairs has high ceiling, window sitting area and two walk-in closets, Master bath has dual rectangle porcelain sinks, granite countertop, 11 drawer vanity, jacuzzi tub, frameless glass shower, Moen fixtures, tile on floor, shower and tub surround. Second story offers 3 bedrooms, and a full bath with granite countertop, easy close drawers and doors on vanities, tile on floor and tub surround walls. Freshly painted interior including trim boards and exterior. Solar Screens on all windows. Zoned for North Pointe Elementary, Clear Lake Middle School, and Brook HS. NO FLOODING IN HARVEY. Call today to schedule a private tour!